A week after paying $8 million for a private island in the Florida Keys, a real estate developer was arrested for stealing $300 in merchandise from a department store, police report. 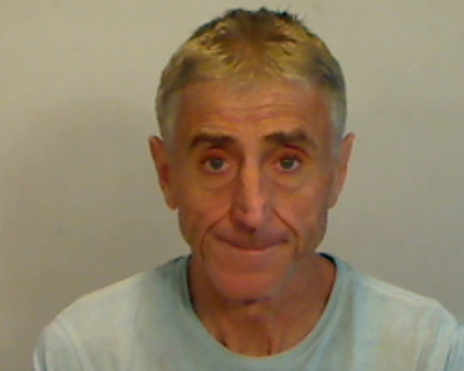 Andrew Lippi, 59, was busted Saturday on a felony grand theft rap for allegedly swiping coffeemakers, linen, and light bulbs from a Kmart in Key West. According to a Key West Police Department report, Lippi purchased the household goods and then returned the items to Kmart, where employees discovered that the boxes no longer contained the new items. For example, cops say, a box that was supposed to hold a $165 Keurig coffeemaker instead had a basketball inside. In another package, a used coffeemaker replaced a new $55 Hamilton Beach model. During police questioning, Lippi denied swapping out the merchandise, which investigators valued at $300.59. Lippi was booked into the Monroe County Detention Center, from which he was freed the following morning without bond. Lippi’s bust came days after he closed on the $8 million purchase of Thompson Island, a gated island adjacent to Key West. Pictured in the above mug shot, Lippi--who has been barred from returning to Kmart--is scheduled for arraignment on April 18.